Accumulated lines of evidence reveal that a large number of circular RNAs are produced in transcriptomes from fruit fly to mouse and human. Unlike linear RNAs shaped with 5′ cap and 3′ tail, circular RNAs are characterized by covalently closed loop structures without open terminals, thus requiring specific treatments for their identification and validation. Here, we describe a detailed pipeline for the characterization of circular RNAs. 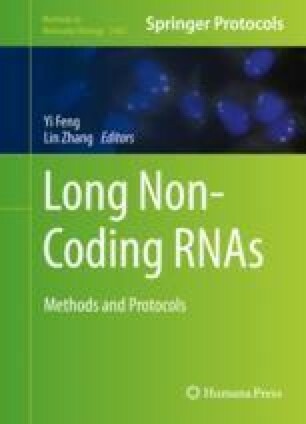 It has been successfully applied to the study of circular intronic RNAs derived from intron lariats (ciRNAs) and circular RNAs produced from back spliced exons (circRNAs) in human. This work was supported by 31271390, 31322018, 91440202 from NSFC to L.Y. and L.L.C.